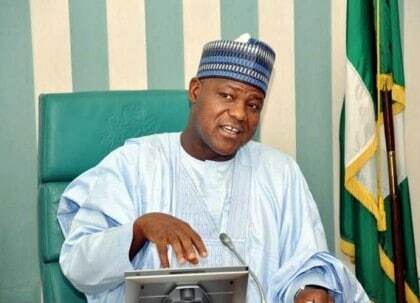 The House of Representatives is set to establish a legal framework for the execution of Zonal/Constituency intervention projects, Speaker Yakubu Dogara has said. The revelation was made at the public hearing on the Bill for An Act to Establish the Constituencies Development Fund, which took place at the National Assembly on Wednesday. Speaking on the modalities of the proposed fund, Dogara said that the Bill seeks to streamline the management and implementation of constituencies development fund in the whole federation. The decisions on the projects to be implemented will, however, remain with the various constituencies through the Constituency Development Project Advisory Committees which will be set up for each Federal Constituency and Senatorial district. “One of the objectives of this Bill is to put in place a mechanism that will enhance the participation of citizens in the judicious utilization of funds that would bring about socio-economic development with accountability in our various constituencies”, the Speaker said. The Bill when passed into law, according to the Speaker, will address concerns over Constituency/ Zonal intervention Projects which is supposed to be a vehicle for rural and urban development.